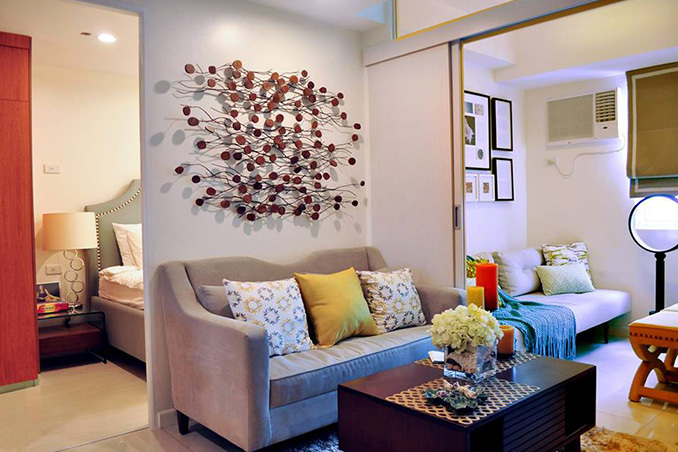 Investing in your own condo unit is a feat in itself, but to see it turn into the space you’ve always wanted from the ground up is another story. After purchasing her own home using all her earnings, Real Living reader Meldz Relucio worked on completing the space with her handpicked pieces, accessories that speak of her passions, and colors that tie the look together. Being very hands-on with the overall process—from sourcing to facilitating the delivery of the items—has its pros and cons, but it’s a journey she wouldn’t trade for anything else. After a seven-month renovation period and with the help of contractor Clarence Dizon of C.B. Dizon Design & Construction, Inc., she was able to achieve the look and feel she envisioned—proving that the best things in life are always worth the wait.